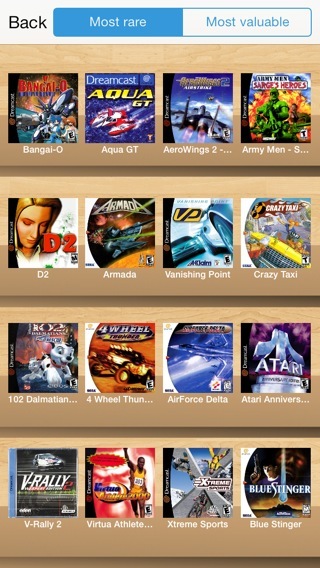 Retro Game Collector for Dreamcast is the must-have reference for every Sega Dreamcast enthusiast. 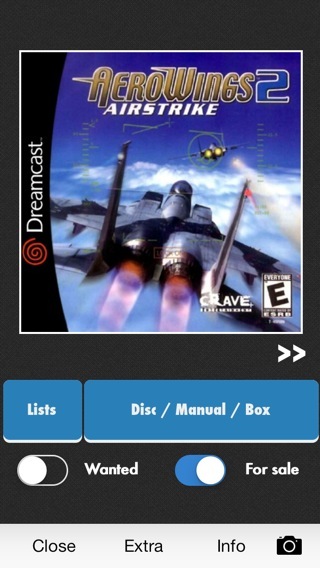 This app serves as a reference for every Dreamcast game ever released. Keep track of your own game collection and even keep a wanted list. 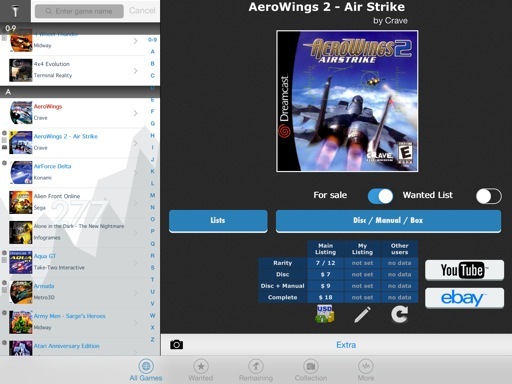 "This app is perfect for any collector that has or is trying to obtain a good collection. No more wondering if you already have that game or not when hunting for carts, just check the app. Highly recommended!" 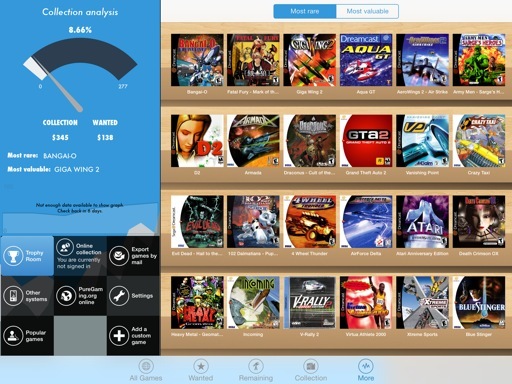 "The app is loaded with every single game in the consoles library, with a counter in the background. When you add a title to your collection the counter drops and the list updates letting you know how many titles you need to complete your collection. When adding a game into your collection you are given the option to add whether it has the disc, case, manuals, and up to 3 custom options and gives all the information and a fair market value for the item. 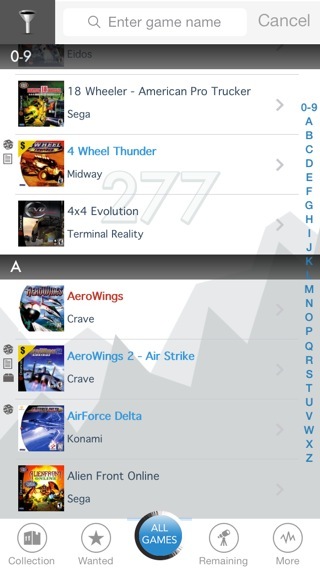 Also gives the game a rarity chart in which is can all be filtered to help you find/search for specific games. 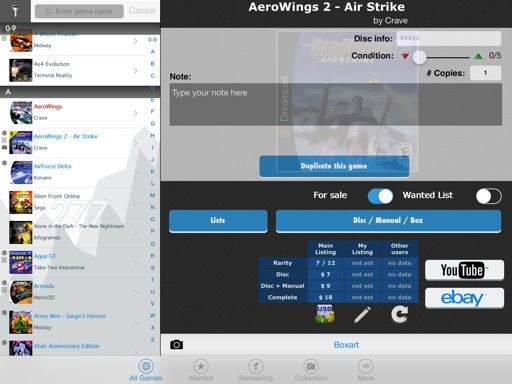 It is a very easy app to use and I am super glad to have found it." 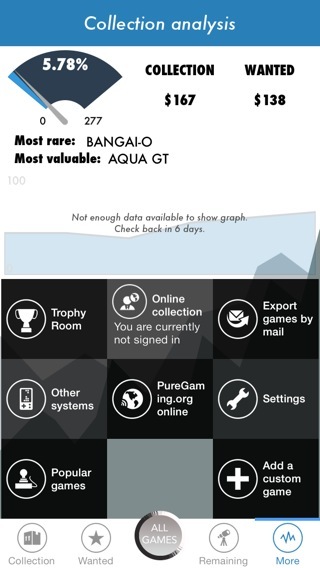 "A very useful app to organize and to keep track of how many games are left to complete my collection." "Totally love your apps!! They're incredible! Please keep them coming. They're awesome!!"